1. Chamberlain, J.W. and D.M. Hunten, 1987: Theory of Planetary Atmospheres. Academic Press, San Diego. 2. Nachtwey, D.S. and R.D. Rundel, 1982: Ozone change: Biological effects. In Stratospheric Ozone and Man, F.A. Bower and R.B. Ward, eds. CRC Press, Boca Raton, 81-121. 3. Smith, R.C., B.B. Prezelin, K.S. Baker, R.R. Bidigare, N.P. Boucher, T. Coley, D. Karentz, S. Maclntyre, H.A. Matlick, D. Menzies, M. Ondrusek, Z. Wan and K.J. Waters, 1992: Ozone depletion: ultraviolet radiation and phytoplankton biology in Antarctic waters. Science, 255, 952-959. 4. Slaper, H„ G.J.M. Veiders, J.S. Daniel, PR. de Gruijl and J.C. van der Leun, 1996: Estimates of ozone depletion and skin cancer incidence to examine the Vienna Convention achievements. Nature, 384, 256-258. 5. DeMore, W.B., S.P. Sander, D.M. Golden, R.F. Hampson, M.J. Kuiylo, C.J. Howard, A.R. Ravishankara, C.E. Kolb and M.J. Molina, 1997: Chemical Kinetics and Photochemical Data for Use in Stratospheric Modeling, JPL Pub. 97-4. Jet Propulsion Laboratory, Pasadena. 6. Dobson, G.M.B., 1968: Forty years' research on atmospheric ozone at Oxford: a history. Appl. Opt., 7, 387-405. 7. Nicolet, M., 1979: The First Years of the Study of Atmospheric Ozone. US Dept of Transportation, Report No. 1979. 8. Goody, R.M. and Y.L. Yung, 1989: Atmospheric Radiation: Theoretical Basis. Oxford University, New York. 9. Ramanathan, V. and R.E. Dickinson, 1979: The role of stratospheric ozone in the zonal and seasonal radiative energy balance of the Earth-troposphere system. J. Atmos. Sri., 36. 1084. 10. Forster, P.M.D. and K.P. Shine, 1997: Radiative forcing and temperature trends from stratospheric ozone changes../. Geophys. Res., 102, 10,841-10,855. 11. Lacis, A.A., D.J. Wuebbles and J.A. Logan, 1990: Radiative forcing of climate by changes in the vertical distribution of ozone. J. Geophys. Res., 95, 9971—9981. 12. Fartnan, J.C., B.G. Gardiner and J.D. Shanklin, 19X5: Large losses of total ozone in Antarctica reveal seasonal C10,/N0,. interaction. Nature. 315, 207—210. 13. WMO, 1995: Scientific Assessment of Ozone Depletion: 1994, Global Ozone Research and Monitoring Project. World Meteorological Organization, Geneva, 1995. 14. Hofmann, D.J., S.J. Oltmans, J.A. Lathrop, J.M. Harris and H. Vomel, 1994: Record low ozone at the South Pole in the spring of 1993. Geophys. Res. Lett.. 21, 421-424. 15. WMO, 1986: Atmospheric ozone ¡985: Assessment of our understanding of the processes controlling its present distribution and change. Global Ozone Research and Monitoring Project. World Meteorological Organization, Geneva. 16. Stolarski, R.S., P. Bloomfield, R.D. McPeters and J.R. Herman, 1991: Total ozone trends deduced from Nimbus 7 TOMS data. Geophys. Res. Lett.. 18, 1015-1018. 17. Hood, L.L. and J.P. McCormack, 1992: Components of interannual ozone change based on Nimbus 7 TOMS data. Geophys. Res. Let!., 19, 2309-2312. 18. McPeters, R.D., S.M. Hollandsworth, L.E. Flynn. J.R. Herman and C.J. Seftor, 1996: Long-term ozone trends derived from the 16-year combined Nimbus 7/Meteor 3 TOMS Version 7 record. Geophys. Res. Leu.. 23, 3699-3702. 19. Hood, L.L., R.D. McPeters, J.P. McCormack, L.E. Flynn, S.M. Hollandsworth and J.F. Gleason, 1993: Altitude dcpcndcncc of stratospheric ozone trends based on Nimbus 7 SBUV data. Geophys. Res. Lett.. 20, 2667-2670. 20. Randcl, W.J., R.S. Stolarski, D.M. Cunnold. J.A. Logan, M.J. Newchurch and J.M. Zawodny, 1999: Trends in the vertical distribution of ozone. Science. 285. 1689-1692. 21. WMO, 1998: SPARC. Assessment of Trends in the Vertical Distribution of Ozone. Ozone Research and Monitoring Project Report 43. N. Harris, R. Hudson and C. Phillips, eds. World Meterological Organization, Geneva. 22. Bluth, G.J.S., S.D. Doiron, C.C. Schnetzler, A.J. Krueger and L.S. Walter, 1992: Global tracking of the S02 clouds from the June, 1991 Mount Pinatubo eruptions. Geophys. Res. Lett., 19, 151-154. 23. McCormick, M.P. and R.E. Veiga. 1992: SAGE II measurements of early Pinatubo aerosols. Geophys. Res. Lett.. 19, 155-158. 24. Gleason. J.F., P.K. Bhartia, J.R. Herman, R. McPcters, P. Newman, R.S. Stolarski. L. Flynn. G. Labow, D. Larko, C. Seftor, C. Wellcmeyer, W.D. Komhyr, A.J. Miller and W. Planet, 1993: Record low global ozone in 1992. Science. 260, 523-526. 25. Randel, W.J., F. Wu, J.M. Russell, III, J.W. Waters and L. Froidevaux. 1995: Ozone and temperature changes in the stratosphere following the eruption of Mount Pinatubo. J. Geophys. Res., 100, 16,753-16,764. 26. Herman, J.R. and D. Larko, 1994: Low ozone amounts during 1992-1993 from Nimbus 7 and Meteor 3 Total Ozone Mapping Spectrometers. /. Geophys. Res., 99, 3483-3496. 27. Brasseur, G. and S. Solomon, 1986: Aeronomy of the Middle Atmosphere. Reidel, Norwell. 28. Kawa, S.R., J.B. Kumer, A.R. Douglass, A.E. Roche, S.E. Smith, F.W. Taylor and D.J. Allen, 1995: Missing chemistry of reactive nitrogen in the upper stratospheric polar winter. Geophys. Res. Lett.. 22, 2629-2632. 29. Hanson, D.R., A.R. Ravishankara and S. Solomon, 1994: Heterogeneous reactions in sulfuric acid aerosols: a framework for model calculations. J. Geophys. Res.. 99, 3615-3629. 30. Hanson, D.R. and A.R. Ravishankara, 1994: Reactivc uptake of ClONO, onto sulfuric acid due to reaction with HCI and HjO. J. Phys. Chern.. 98, 5728-5735. 31. Peter, T., 1997: Microphysics and heterogeneous chemistry of polar stratospheric clouds. Annu. Rev. Phys. Chem., 48, 785-822. Laboratory studies of atmospheric heterogeneous chemistry. In Progress and Problems in Atmospheric Chemistry, J.R. Barker, ed. World Scientific, New Jersey, pp. 771-875. 33. Robinson. G.N., D.R. Worsnop, J.T. Jayne, C.E. Kolb and P. Davidovits, 1997: Heterogeneous uptake of ClONO. and N2Os by sulfuric acid solutions../. Geophys. Res., 102. 3583-3601. 34. Junge, C.E., C.W. Chagnon and J.E. Manson, 1961: Stratospheric aerosols. J. Meteor.. 18,81-108. 35. Tabazadeh, A., R.P. Turco, K. Drdla, M.Z. Jacobson and O.B. Toon, 1994: A study of type I polar stratospheric cloud formation. Geophys. Res. Lett., 21, 1619-1622. 36. Carslaw, K.S., B.P. Luo, S.L. Clegg, T. Peter, P. Brimblecornbe and P.J. Crutzen, 1994: Stratospheric aerosol growth and UNO, gas phase depletion from coupled UNO-, and water uptake by liquid particles. Geophys. Res. Lett., 21, 2479-2482. 37. Carslaw, K.S., T. Peter and S.L. Clegg, 1997; Modeling the composition of liquid stratospheric aerosols. Rev. Geophys., 35, 125-154. 38. Brock, C.A., P. Hamill, J.C. Wilson, H.H. Jonsson and K.R. Chan, 1995: Particle formation in the upper tropical troposphere: a source of nuclei for the stratospheric aerosol. Science, 270, 1650-1653. 39. Hamill, P., E.J. Jensen, P.B. Russell and J.J. Bauman, 1997: The life cycle of stratospheric aerosol particles. Bull. Am. Meteorol. Sac., 78, 1395-1410. 40. McCormick, M.P., L.W. Thomason and C.R. Trepte, 1995: Atmospheric effects of the Mt Pinatubo eruption. Nature. 373, 399-404. 41. Turco, R.P., P. Hamill, O.B. Toon, R.C. Whitten and C.S. Kiang, 1979: A one-dimensional model describing aerosol formation and evolution in the stratosphere: I. Physical processes and mathematical analogs. J. Atmos. Sci., 36, 699-717. 42. McKcen, S.A., S.C. Liu and C.S. Kiang, 1984: On the chemistry of stratospheric SO: from volcanic eruptions, J. Geophys. Res., 89, 4873-4881. 43. Yue, O.K.. L.R. Poole. P.-H. Wang and E.W. Chiou, 1994: Stratospheric aerosol acidity, density and refractive index deduced from SAGE II and NMC temperature data. ,/. Geophys. Res., 99, 3727- 3738. 44. Hoff. R.M., 1992: Differential S02 column measurements of the Mt. Pinatubo volcanic plume. Geophys. Res. Lett., 19, 175-178. 45. Wilson, J.C., H.H. Jonsson, C.A. Brock. D.W. Toohcy, L.M. Avallone, D. Baumgardner, J.E. Dye, L.R. Poole, D.C. Woods, R.J. DeCoursey, M. Osborn, M.C. Pitts, K.K. Kelly, K.R. Chan, G.V. Ferry, M. Loewenstein, J.R. Podolske and A. Weaver, 1993: In situ observations of aerosol and chlorine monoxide after the 1991 eruption of Mount Pinatubo: effect of reactions on sulfate aerosol. Science, 261, 1140-1143. 46. Dessler, A.E., R.M. Stimptle, B.C. Daube, R.J. Salawitch, E.M. Weinslock, D.M. Judah, J.D. Burley, J.W. Munger, S.C. Wofsy, J.G. Anderson, M.P. McCormick and W.P. Chu. 1993: Balloon-borne measurements of CIO, NO and O, in a volcanic cloud: an analysis of heterogeneous chemistry between 20 and 30 km. Geophys. Res. Lett., 20, 2527-2530. 47. Pinnick, R.G., J.M. Rosen and D J. Hofmann, 1976: Stratospheric aerosol measurements III: optical model calculations../. Atmos. Sci., 33, 304-314. 48. Russell, P.B., J.M. Livingston, R.F. Pueschel, J.J. Bauman, J.B. Pollack, S.L. Brooks, P. Hamill, L.W. Thomason, L.L. Stowe, T. Deshler, E.G. Dutton and R.W. Bergstrom, 1996: Global to microscale evolution of the Pinatubo volcanic aerosol derived from diverse measurements and analyses../. Geophys. Res., 101, 18,745-18,763. 49. Deshler, T., B.J. Johnson and W.R. Rozier, ¡993: Balloonborne measurements of Pinatubo aerosol during 1991 and 1992 at 41°N: Vertical profiles, size distribution and volatility. Geophys. Res. Lett., 24, 1435-1438. 50. Hervig, M.E., T. Deshler and J.M. Russell, III, 1998: Aerosol size distribution obtained from HALOE spectral extinction measurements../. Geophys. Res., 103, 1573-1583. 51. Volk, C.M., J.W. Elkins, D.W. Fahey. G.S. Dutton, J.M. Gilligan, M. Loewenstein, J.R. Podolske and K.R. Chan, 1997: Evaluation of source gas lifetimes from stratospheric observations.,/. Geophys. Res., 102, 25,543-25,564. 52. Houghton, J.T., 1986: The Physics of Atmospheres, Cambridge University, New York. 53. Schoeberl, M.R. and L.C. Sparling, 1995: Trajectory modelling. In Diagnostic Tools in Atmospheric Physics, Proceedings of the International School of Physics, G. Fiocco and G. Visconti, eds. IOS Press, Amsterdam, pp. 289-305. 54. Kiehl, J.T. and S. Solomon, 1986: On the radiative balance of the stratosphere../. Atmos. Sci., 43, 1.525-1534. 55. Newman, P.A. and J.E. Rosenfield, 1997: Stratospheric thermal damping times. Geophys. Res. Lett.. 24, 433-436. 56. Holton, J.R., 1979: An Introduction to Dynamic Meteorology. Academic Press, San Diego. 57. Lait, L.R., 1994: An alternative form for potential vorticity. J. Atmos. Sci., 51, 1754-1759. 58. Schoeberl, M.R., L.R. Lait, P.A. Newman, R.L. Martin, M.H. Proffitt. D.L. Ilartmann. M. Loewenstein, J. Podolske, S.E. Strahan, J. Anderson, K.R. Chan and B. Gary, 1989: Reconstruction of the constituent distribution and trends in the Antarctic polar vortex from ER-2 flight observations. J. Geophys. Res.. 94, 16,815-16,845. 59. Nakamura, N. and J. Ma, 1997: Modified Lagrangian-mean diagnostics of the stratospheric polar vortices. 2. Nitrous oxide and seasonal barrier migration in the Cryogenic Limb Array Etalon Spectrometer and SKYIII general circulation model. J. Geophys. Res., 102, 25.721-25,735. 60. Nakamura. N., J. Ma and J.J. Modi, 1998: Deciphering Lagrangian-mean transport and chemistry from the stratospheric trace constituents data. In Recent Advances in Stratospheric Processes, T. Nathan and E. Cordero, eds. Research Signpost, Trivandrum, India, 49-76. 61. Randel, W.J., J.C. Gille, A.E. Roche, J.B. Kumer, J.L. Mergenthaler, J.W. Waters, E.F. Fishbein and W.A. Lahoz, 1993: Stratospheric transport from the tropics to middle lali-ludes by planetary-wave mixing. Nature, 365, 533-535. 62. Morris. G.A., M.R. Schoeberl, L. Sparling, P.A. Newman, L.R. Lait, L. Elson, J. Waters, R.A. Suttie, A. Roche, J. Kumer and J.M. 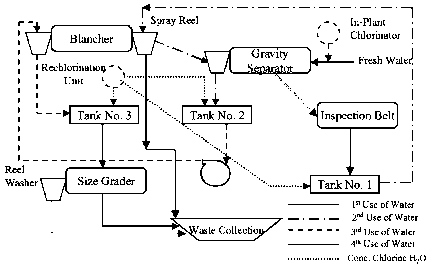 Russell, III, 1995: Trajectory mapping and applications to data from the Upper Atmosphere Research Satellite. J. Geophys. Res., 100, 16,491-16,505. 63. Chapman, S., 1930: A theory of upper-atmospheric ozone. Mem. R. Meteorol. Soc., 3, 103-125. 64. Minschwaner, K., R.J. Salawitch and M.B. McElroy, 1993: Absorption of solar radiation by 0;: implications for O, and lifetimes of N,0, CFCI, and CF,C1„ J. Geophys. Res.. 98, 10,543-10,561. 65. Michelsen, H.A., R.J. Salawitch, P.O. Wennberg and J.G. Anderson, 1994: Production of O('D) from photolysis of O,. Geophys. Res. Lett., 21, 2227 -2230. 66. Press, W.H., B.P. Flannery, S.A. Teukolsky and W.T. Vetterling, 1988: Numerical Recipes in C. Cambridge University Press, Cambridge. 67. Johnston, H.S. and J. Podolske, 1978: Interpretations of stratospheric photochemistry. Rev. Geophys., 16, 491-519. 68. Stolarski, R.S. and R.J. Cicerone, 1974: Stratospheric chlorine: a possible sink lor ozone. Can. J. Chem., 52. 1610-1615. 69. Dessler, A.E., S.R. Kawa, A.R. Douglass, D.B. Considine, J.B. Kumer, A.E. Roche, J.W. Waters, J.M. Russell, III and J.C. Gille, 1996: A test of the partitioning between CIO and C10N0Z using simultaneous UARS measurements of CIO, NO, and C10N02. ./. Geophys. Res., 1.01, 12,515-12,521. 70. Stimpfle, R.M., J.P. Koplow, R.C. Cohen, D.W. Kohn, P.O. Wennberg, D.M. Judah, D.W. Toohey, L.M. Avallone, J.G. Anderson, R.J. Salawitch, E.L. Woodbridge, C.R. Webster, R.D. May, M.H. Proffitt, K. Aiken, J. Margitan, M. Loewenstein, J.R. Podolske, L. Pfister and K.R. Chan, 1994: The response of CIO radical concentrations to variations in NO. radical concentrations in the lower stratosphere. Geophys. Res. Lett., 21, 2543-2546. 71. Dessler, A.E., S.R. Kawa. D.B. Considine, J.W. Waters, L. Froidevaux and J.B. Kumer, 1996: UARS measurements of CIO and NO, at 40 and 46 km and implications for the model "ozone deficit". Geophys. Res. Lett.. 23, 339-342. 72. Crutzen, P.J., 1970: The influence of nitrogen oxides on the atmospheric ozone content. Q. J. R. Meteorol. Soc.. 96, 320-325. 73. Jackman, C.H., E.L. Fleming, S. Chandra, D.B. Considine and J.E. Rosenfield, 1996: Past, present and future modeled ozone trends with comparisons to observed trends. J. Geophys. Res., 101, 28,753-28,767. 74. Wennberg, P.O., R.C. Cohen, R.M. Stimpfle, J.P. Koplow, J.G. Anderson. R.J. Salawitch, D.W. Fahey. E.L. Woodbridge, E.R. Keim, R.S. Gao, C.R. Webster. R.D. May, D.W. Toohey. L.M. Avallone, M.H. Proffitt, M. Loewenstein, J.R. Podolske, K.R. Chan and S.C. Wofsy, 1994: Removal of stratospheric O, by radicals: in situ measurements of OH, HO,, NO, NO,, CIO and BrO. Science. 266, 398-404. 75. Osterman, G.B., R.J. Salawitch, B. Sen, G.C. Toon, R.A. Stachnik, H.M. Pickett, J.J. Margitan, J.-F. Blavier and D.B. Peterson, 1997: Balloon-borne measurements of stratospheric radicals and their precursors: Implications for the production and loss of ozone. Geophys. Res. Lett.. 24, 1107-1110. 76. Eluszkiewicz, J. and M. Allen, 1993: A global analysis of the ozone deficit in the upper stratosphere and lower mesosphere../. Geophys. Res.. 98, 1069-1082. 77. Lovelock, J.E., R.J. Maggs and R.J. Wade, 1973: Halogenated hydrocarbons in and over the Atlantic. Nature, 241, 194-196. 78. Molina, M.J. and F.S. Rowland, 1974: Stratospheric sink for chlorofluoromethanes: Chlorine atom-catalyscd destruction of ozone. Nature, 249, 810-812. 79. Tabazadeh, A. and R.P. Turco, 1993: Stratospheric chlorine injection by volcanic eruptions: HC1 scavenging and implications for ozone. Science, 260, 1082—1086. 80. Montzka, S.A., J.H. Butler, R.C. Myers, T.M. Thompson, T.H. Swanson, A.D. Clarke, L.T. Lock and J.W. Elkins, 1996: Decline in the tropospheric abundance of halogen from halocarbons: Implications for stratospheric ozone depletion. Science, 272, 1318-1322. 81. Pollock, W.H., L.E. Heidt, R.A. Lueb, J.F. Vedder, M.J. Mills and S. Solomon, 1992: On the age of stratospheric air and ozone depletion potentials in polar regions../, Geophys. Res., 97. 12.993-12,999. 82. Hall, T.M. and R.A. Plumb, 1994: Age as a diagnostic of stratospheric transport. ./. Geophys. Res., 99, 1059-1070. 83. Boering, K.A.. S.C. Wofsy, B.C. Daube, H.R. Schneider, M. Loewenstein. J.R. Podolske and T.J. Conway. 1996: Stratospheric mean ages and transport rates from observations of carbon dioxide and nitrous oxide. Science. 274, 1340-1343. 84. Russell, J.M., III, M. Luo, R.J. Cicerone and L.E. Deaver, 1996: Satellite confirmation of the dominance of chlorofiuorocarbons in the global stratospheric chlorine budget. Nature, 379, 526-529. 85. Lipson, J.B., M.J. Elrod, T.W. Beiderhase, L.T. Molina and M.J. Molina, 1997: Temperature dependence of the rate constant and branching ratio for the OH + CIO reaction. J. Chem. Sac. Faraday Trans., 93, 2665-2673. 86. McElroy, M.B. and R.J. Salawitch, 1989: Changing composition of the global stratosphere. Science, 243, 763-770. 87. Michelsen, H.A., R.J. Salawitch, M.R, Gunson, C. Aellig, N. Kämpfer, M.M. Abbas, M.C. Abrams, T.L. Brown, A.Y. Chang, A. Goldman, F.W. Irion, M.J. Newchurch, C.P. Rinsland, G.P. Stiller and R. Zander, 1996: Stratospheric chlorine partitioning: Constraints from shutlle-bome measurements of [HCl], [C1NO-J and [CIO]. Geophys. Res. Lett., 23, 2361-2364. 88. Solomon. S„ R.W. Portmann, R R. Garcia, W. Randcl, E Wu. R. Nagatani, J. Gleason, L. Thomason, L.R. Poole and M.P. McCormick, 1998: Ozone depletion at mid-latitudes: coupling of volcanic aerosols and temperature variability to anthropogenic chlorine. Geophys. Res. Lett., 25, 1871-1874. 89. Zander, R„ E. Mahieu, M.R. Gunson, M.C. Abrams, A.Y. Chang, M. Abbas, C. Aellig, A. Engel, A. Goldman, F.W. Irion, N. Kämpfer, H.A. Michelsen, M.J. Newchurch, C.P. Rinsland, R.J. Salawitch, G.P. Stiller and G.C. Toon, 1996: The 1994 northern midlati-tude budget of stratospheric chlorine derived from ATMOS/ATLAS-3 observations. Geophys. Res. Lett., 23, 2357-2360. 90. Dessler, A.E., D.B. Considine, G.A. Morris, M.R. Schoeberl, A.E. Roche, J.L. Mcrgenthaler, J.M. Russell, J.W. Waters, J.C. Gille and G.K. Yue, 1995: Correlated observations of HCl and ClONO, from UARS and implications for stratospheric chlorine partitioning. Geophys. Res. Lett., 22, 1721-1724. 91. DeMore, W.B., S.P. Sander, D.M. Golden, R.F. Hampson, M.J. Kurylo, C.J. Howard, A.R. Ravishankara, C.E. Kolb and M.J. Molina, 1994: Chemical Kinetics and Photochemical Data for Use in Stratospheric Modeling, JPL Pub. 94-26, Jet Propulsion Laboratory, Pasadena. 92. Johnson, D.G., W.A. Traub, K.V. Chance, K.W. Jucks and R.A. Stachnik, 1995: Estimating the abundance of CIO from simultaneous remote sensing measurements of HO,, OH and HOC1. Geophys. Res. Lett.. 22, 1869-1871. 93. Woodbridge, E.L., J.W. Elkins, D.W. Fahey, L.E. Heidt, S. Solomon, T.J. Baring, T.M. Gilpin, W.U. Pollock, S.M. Schauffler, E.L. Atlas, M. Loewenstein, J.R. Podolske, C.R. Webster, R.D. May, J.M. Gilligan, S.A. Montzka, K.A. Boering and R.J. Salawitch, 1995: Estimates of total organic and inorganic chlorine in the lower stratosphere from in situ and flask measurements during AASE II. ./. Geophys. Res., 100, 3057-3064. 94. Khalil, M.A.K. and R.A. Rasmussen, 1992: The global sources of nitrous oxide. J. Geophys. Res., 97, 14,651-14,660. 95. Crreenblatt, G.D. and A.R. Ravishankara, 1990: Laboratory studies on the stratospheric NO, production rate../. Geophys. Res., 95, 3539-3547. 96. Vitt, F.M. and C.H. Jackman, 1996: A comparison of sources of odd nitrogen production from 1974 through 1993 in the Earth's middle atmosphere as calculated using a two-dimensional model. J. Geophys. Res., 101, 6729-6739. 97. Siskind, D.E., J.T. Bacmeister, M.E. Summers and J.M. Russell, 1997: Two-dimensional model calculations of nitric oxide transport in the middle atmosphere and comparison with Halogen Occupation Experiment data. J. Geophys. Res., 102, 3527-3545. 98. Kondo, Y„ A. Iwata, P. Aimedieu, W.A. Matthews, W.R. Sheldon and J.R. Benbrook, 1989: Profiles of nitric oxide in the upper stratosphere. Geophys. Res. Lett., 16, 1379-1382. 99. Webster, C.R., R.D. May, R. Toumi and J.A. Pyle, 1990: Active nitrogen partitioning and the nighttime formation of N,03 in the stratosphere: simultaneous in situ measurements of NO, NO,, HNO,, O, and N ,0 using the BLISS diode laser spectrometer../. Geophys. Res., 95, 13,851-13,866. 100. Kondo, Y„ P. Aimedieu, M. Pirre. W.A. Matthews, R. Ramaroson, W.R. Sheldon, J.R. Benbrook and A. Iwata, 1990: Diumal variation of nitric oxide in the upper stratosphere. ./. Geophys. Res.. 95, 22,513-22,522. 101. Cadle, R.D., P. Crutzen and D. Ehhalt, 1975: Heterogeneous chemical reactions in the stratosphere..!. Geophys. Res., 80, 3381-3385. 102. Hanson, D.R., A.R. Ravishankara and E.R. Lovejoy, 1996: Reaction of BrONO, with H,0 on submicron sulfuric acid aerosol and the implications for the lower stratosphere. J. Geophys. Res., 101, 9063 9069. 103. Sen, B„ G.C. Toon, G.B. Ostennan, J.F. Blavier, J.J. Margitan, R.J. Salawitch and O.K. Yue, 1998: Measurements of reactive nitrogen in the stratosphere. J. Geophys. Res., 103, 3571-3585. 104. Nevison, CD,, S. Solomon and R.R. Garcia, 1997: Model overestimates of NO, in the upper stratosphere. Geophys. Res. Lett., 24, 803-806. 105. Nevison, C.D., S. Solomon and J.M. Russell, III, 1996: Nighttime formation of N.O., inferred from the Halogen Occuitation Experiment sunset/sunrise NO, ratios. ./. Geophys. Res., 101, 6741-6748. 106. Morris, G.A., D.B. Considine, A.E. Dessler, S.R. Kawa, J.B. Kurner, J.L. Mergenthaler, A.E. Roche and J.M. Russell, III, 1997: Nitrogen partitioning in the middle stratosphere as observed by the Upper Atmosphere Research Satellite. J. Geophys. Res., 102, 8955-8965. 107. Randeniya, L.K., P.F. Vohralik, I.C. Plumb and K.R. Ryan. 1997: Heterogeneous BrONO, hydrolysis: effect on NO columns and ozone at high latitudes in summer. J. Geophys. Res., 102, 23,543-23,557. 108. Logan, J.A., M.J. Prather, S.C. Wofsy and M.B. McElroy, 1978: Atmospheric chemistry: response to human influence. Phil. Trans. R. Soc. BA, 290, 170-172. 109. Wofsy, S.C., 1976: Interactions of CH, and CO in the Earth's Atmosphere, Annu. Rev. Earth Planet. Sei.. 4, 441-469. I 10. Wofsy, S.C., J.C. McConnell and M.B. McElroy, 1972: Atmospheric CH,, CO and CO,. J. Geophys. Res., 77, 4477-4493. 111. Pressman, J. and P. Warneck, 1970: The stratosphere as a chemical sink for carbon monoxide../. Geophys. Res., 27, 155-163. 112. Penner, J.E., M.B. McElroy and S.C. Wofsy, 1977: Sources and sinks for atmospheric H,: a current analysis with projections for the influence of anthropogenic activity. Planet. Space Sci., 25. 521-540. 113. Ehhalt, D.H. and A. Tonnissen, 1979: Hydrogen and carbon compounds in the stratosphere. In Proceedings of the NATO Advanced Study Institute on Atmospheric Ozone: Its Variations and Human Influences, A.C. Aikin, ed. Algarve, Portugal, pp. 129-151. 114. Schmidt, U., G. Kulessa and E.P. Roth. 1979: The atmospheric H2 cycle. In Proceedings of the NATO Advanced Study Institute on Atmospheric Ozone: Its Variations and Human Influences, A.C. Aikin, ed. Algarve, Portugal, pp. 307-322. 115. Wennherg, P.O., R.J. Salawitch, D.J. Donaldson, T.F. Hanisco, E.J. Lanzendorf. K.K. Perkins, S.A. Lloyd, V. Vaida, R.S. Gao, E.J. Hintsa, R.C. Cohen. W.H. Swartz, T.L. Kusterer and D.E. Anderson, 1999: Twilight observations suggest unknown sources of HO, Geophys. Res. Lett., 26, 1373-1376. D. Baumgardner, S. Bornnann, D.W. Toohey, L.M. Avallone, M.H. Proftitt, J. Margitan, M. Loewenstein, J.R. Podolske, RJ. Salawitch, S.C. Wofsy, M.K.W. Ko, D.E. Anderson, M.R. Schoeberl and K.R. Chan, 1993: In situ measurements constraining the role of sulphate aerosols in mid-latitude ozone depletion. Nature, 363, 509-514. E.L. Woodbridge, E.R. Keim, R. Gao, M.H. Proffitt, M. Loewenstein and K.R. Chan, 1994: Are models of catalytic removal of O, by HO, accurate? Constraints from in situ measurements of the OH to HO, ratio. Geophys. Res. Lett., 21, 2539-2542. 1 18. Jucks, K.W., D.G. Johnson, K.V. Chance, W.A. Traub, R.J. Salawitch and R.A. Stachnik, 1996: Ozone production and loss rate measurements in the middle stratosphere. J. Geophys. Res., 101, 28,785-28,792. 119. Chance, K„ W.A. Traub, D.G. Johnson, K.W. Jucks, P. Ciarpallini, R.A. Stachnik, R.J. Salawitch and H.A. Michelsen, 1996: Simultaneous measurements of stratospheric HO„ NO, and Clt: comparison with a photochemical model. ./. Geophys. Res., 101, 9031-9043. 120. Stimpfle, R.M., P.O. Wennberg, L.B. Lapson and J.G. Anderson, 1990: Simultaneous, in situ measurements of OH and HO, in the stratosphere. Geophys. Res. Lett.. 17, 1905-1908. 121. Wennberg, P.O., R.M. Stimpfle, E.M. Weinstock, A.E. Dessler, S.A. Lloyd, L.B. Lapson, J.J. Schwab and J.G. Anderson, 1990: A test of modeled stratospheric HO, chemistry: simultaneous measurements of OH, IK),, O, arid H,0. Geophys. Res. Lett., 17. 1909-1912. 122. Stachnik, R.A., J.C. Hardy, J.A. Tarsala, J.W. Waters and N.R. Erickson, 1992: Submillimeterwave heterodyne measurements of stratospheric CIO, HC1, O, and HO,: first results. Geophys. Res. Lett., 19, 1931-1934. 123. Jucks, K.W., D.G. Johnson, K.V. Chance, W.A. Traub, J.J. Margitan, G.B. Osterman, R.J. Salawitch and Y. Sasano, 1998: Observations of OH, H02, H,0 and O, in the upper stratosphere: implications for HO, photochemistry. Geophys. Res. Lett., 25, 3935—3938. R.D. May, L. Pfister, E.W. Gottlieb. H.A. Michelsen, O.K. Yue, J.C. Wilson, C.A. Brock, H.H. Jonsson, J.E. Dye, D. Baumgardner, M.H. Proffitt, M. Loewenstein, J.R. Podolske, J.W. Elkins, G.S. Dutton, E.J. Hintsa, A.E. Dessler, E.M. Weinstock, K.K. Kelly, K.A. Boering, B.C. Daube, K.R. Chan and S.W. Bowen, 1994: The distribution of hydrogen, nitrogen and chlorine radicals in the lower stratosphere: Implications for changes in O, due to emission of NO,, from supersonic aircraft. Geophys. Res. Lett., 21, 2547-2550. 125. Jaegle, L., D.J. Jacob, P.O. Wennberg, C.M. Spivakovsky, T.F. Hanisco, E.J. Lanzendorf, E.J. Hintsa, D.W. Fahey, E.R. Keim, M.H. Proffitt, E.L. Atlas, F. Flocke, S. Schauffler, C.T. McElroy, C. Midwinter, L. Pfister and J.C. Wilson, 1997: Observed OH and HO, in the upper troposphere suggest a major source from convective injection of peroxides. Geophys. Res. Lett.. 24. 3181-3184. 126. Wennberg, P.O., R.C. Cohen, N.L. Iiazen, L.B. Lapson, N.T. Allen, T.F. Hanisco, J.F. Oliver, N.W. Lanham, J.N. Demusz and J.G. Anderson, 1994: An aircraft-borne, laser-induced fluorescence instrument for the in situ detection of hydroxy! and hydroperoxyl radical. Rev. Sci. lustrum., 65, 1858-1876. 127. Khalil, M.A.K., R.A. Rasmussen and A.R. Gunawarden, 1993: Atmospheric methylbromide: trends and global mass balance../. Geophys. Res., 98, 2887-2896. 128. Butler, J.H., S.A. Montzka, A.D. Clarke, J.M. Lobert and J.W. Elkins, 1998: Growth and distribution of llalons in the atmosphere. J. Geophys. Res., 103, 1503—1511. 129. Schauffler, S.M., E.L. Atlas, F. Flocke, R.A. Lueb, V. Stroud and W. Travnicek, 1998: Measurements of bromine containing organic compounds at the tropical tropopause. Geophys. Res. Lett., 25, 317-320. 130. Wamslcy, PR., J.W. Elkins, D.W. Fahey, G.S. Dutton, C.M. Volk, R.C. Myers. S.A. Montzka, J.H. Butler, A.D. Clarke, P.J. Fraser, L.P. Steele. M.P. Lucarelli, E.L. Atlas, S.M. Schauffler, D.R. Blake. F.S. Rowland, W.T. Sturges, J.M. Lee, S.A. Penkett, A. Engel, R.M. Stimpfle, K.R. Chan, D.K. Weisenstein. M.K.W. Ko and R.J. Salawitch, 1998: Distribution of halon-1211 in the upper troposphere and lower stratosphere and the 1994 total bromine budget. / Geophys. Res., 103, 1513-1526. 131. Lary, D.J., 1996: Gas phase atmospheric bromine photochemistry. ./. Geophys. Res., 101, 1505-1516. 132. Johnson, D.G., W.A. Traub, K.V. Chance and K.W. Jucks. 1995: Detection of HBr and upper limit for HOBr: bromine partitioning in the stratosphere. Geophys. Res. Lett., 22, 1373-1376. 133. Lary, D.J., M.P. Chipperfield, R. Touirii and T Lenton, 1996: Heterogeneous atmospheric bromine chemistry. J. Geophys. Res., 101, 1489-1504. 134. Avallone, L.M., D.W. Toohey, S.M. Schauffler, W.H. Pollock, L.E. Heidt, E.L. Atlas and K.R. Chan, 1995: In situ measurements ofBrO during AASE II. Geophys. Res. Lett.. 22, 831-834. 135. Daniel, J.S., S. Solomon, R.W. Portmann and R.R. Garcia, 1999: Stratospheric ozone destruction: the importance of bromine relative to chlorine. J. Geophys. Res.. 104, 23,871-23,880. 136. Solomon, S„ M. Mills, L.E. Heidt, W.H. Pollock and A.F. Tuck, 1992: On the evaluation of ozone depletion potentials. J. Geophys. Res.. 97, 825-842. 137. Kaye, J.A., A.R. Douglass, C.H. Jackman, R.S. Stolarski, R. Zander and G. Roland, 1991: Two-dimensional model calculation of fluorine-containing reservoir species in the stratosphere./. Geophys. Res.. 96, 12.865-12,881. 138. Sen, B., G.C. Toon, J.-F. Blavier, E.L. Fleming and C.H. Jackman, 1996: Balloon-borne observations of midlatitude fluorine abundance../. Geophys. Res., 101, 9045-9054. 139. Chippertield, M.P., M. Burton, W. Bell, C.P. Walsh, T. Blumenstock, M.T. Coffey, J.W. Hannigan, W.G. Mankin, B. Galle, i. Mellqvist. E. Mahieu, R. Zander, J. Notholt, B. Sen and G.C. Toon, 1997: On the use of HF as a reference for the comparison of stratospheric observations and models. J. Geophys. Res., 102, 12,901-12,919. 140. Solomon, S., R.R. Garcia and A.R. Ravishankara, 1994: On the role of iodine in ozone depletion../. Geophys. Res., 99, 20,491-20,499. 141. Wennberg, P.O., J.W. Brault. T.F. Hanisco, R.J. Salawitch and G.H. Mount, 1997: The atmospheric abundance of IO: implications for stratospheric ozone. J. Geophys. Res., 102, 8887-8898. 142. Hansen, J., A. Lacis and M. Prather, 1989: Greenhouse effect of chlorofluorocarbons and other trace gases. J. Geophys. Res., 94, 16,417-16,421. 143. Ramaswamy, V., M.D. Schwarzkopf and K.P. Shine, 1992: Radiative forcing of climate from halocarbon-induced global stratospheric ozone loss. Nature, 355, 810-812. 144. Wang, W.C., Y.-C. Zhuang and R.D. Bojkov. 1993: Climate implications of observed changes in ozone vertical distributions at middle and high latitudes of the northern hemisphere. Geophys. Res. Lett., 20, 1567-1570. 145. Andrews, D.G., J.R. Holton and C.B. Leovy, 1987: Middle Atmosphere Dynamics. Academic Press, Orlando. 146. Mclntyre, M.E., 1992: Atmospheric dynamics: some fundamentals, with observational implications. In The Use of EOS for Studies of Atmospheric Physics, J.C. Gille and G. Visconti, eds. Varenna on Lake Como, pp. 313-386. 147. Brewer, A.W., 1949: Evidence for a world circulation provided by the measurements of helium and water vapour distribution in the stratosphere, Q. ./. R. Meteorol. Soc., 75, 351-363. 148. Holton. J.R., P.H. Haynes, M.E. Mclntyre, A.R. Douglass, R.B. Rood and L. Pfister, 1995: Stratosphere-troposphere exchange. Rev. Geophys., 33, 403-439. 149. Hoskins, B.J., 1991: Towards a PV-(? view of the general circulation. Tellus. 43AB, 27-35. 150. Dobson, G.M.B., 1956: Origin and distribution of the polyatomic molecules in the atmosphere. Proc. R. Soc. Lond., A236, 187-193. 151. Newell, R.E. and S. Gould-Stewart, 1981: A stratospheric fountain? J. Atmos. Sci.. 38, 2789-2796. 152. Mote, P.W., K.H. Rosenlof, M.E. Mclntyre, E.S. Carr, J.C. Gille, J.R. Holton, J.S. Kinnersley, H.C. Pumphrey, J.M. Russell, III and J.W. Waters, 1996: An atmospheric tape recorder: the imprint of tropical tropopause temperatures on stratospheric water vapor. J. Geophys. Res.. 101, 3989-4006. 153. Boering, K.A., E.J. Hintsa, S.C. Wofsy, J.G. Anderson, B.C. Daube, Jr., A.E. Dessler, M. Loewenstein, M.P. McCormick, J.R. Podolske, E.M. Weinstock and O.K. Yue. 1995: Measurements of stratospheric carbon dioxide and water vapor at northern midlatitudes: implications for troposphere-to-stratosphere transport. Geophys. Res. Lett., 22,2737-2740. 154. Dessler, A.E., 1998: A reexamination of the "stratospheric fountain" hypothesis. Geophys. Res. Lett., 25, 4165-4168. 155. Robinson, G.D., 1980: The transport of minor atmospheric constituents between troposphere and stratosphere. Q. J. R. Meteorol. Soc., 106, 227-253. 156. Prabhakara, C. D.P. Kratz, J.-M. Yoo, G. Dalu and A. Vemekar, 1993: Optically thin cirrus clouds: radiative impact on the warm pool. J. Quant. Spectrosc. Radiat. Transfer, 49,467-483. 157. Wang, P.-Il., M.P. McCormick, L.R. Poole, W.P. Chu, O.K. Yue, G.S. Kent and K.M. Skeens, 1994: Tropical high cloud characteristics derived from SAGE II extinction measurements. Atmos. Res., 34, 53-83. 158. Jensen, E.J., O.B. Toon, H.B. Selkirk, J.D. Spinhirne and M.R. Schoeberl, 1996: On the formation and persistence of subvisible cirrus clouds near the tropical tropopause. ./. Geophys. Res., 101, 21,361-21,375. 159. Jensen, E.J., O.B. Toon, L. Plistcr and H.B. Selkirk, 1996: Dehydration of the upper troposphere and lower stratosphere by subvisible cirrus clouds near the tropical tropopause. Geophys. Res. Lett., 23, 825-828. 160. Potter, B.E. and J.R. Holton, 1.995: The role of monsoon convection in the dehydration of the lower tropical stratosphere. J. Atmos. Sri., 52, 1034—1050. 161. Danielsen. E.F., 1993: In situ evidence of rapid, vertical, irreversible transport of lower tropospheric air into the lower tropical stratosphere by convective cloud turrets and by larger-scale upweiling in tropical cyclones../. Geophys. Res., 98, 8665-8681. 162. STEP Tropica! Special Issue, 1993. 163. Danielsen, E.F., 1982: A dehydration mechanism for the stratosphere. Geophys. Res. Lett., 9, 605-608. 164. Dessler, A.E., E.J. Hintsa. E.M. Weinstock, J.G. Anderson and K.R. Chan, 1995: Mechanisms controlling water vapor in the lower stratosphere: "a tale of two stratospheres". J. Geophys. Res.. 100, 23,167-23,172. 165. Boering, K.A., B.C. Daube, Jr., S.C. Wofsy, M. Loewenstein, J.R. Podolske and E.R. Keim, 1994: Tracer-tracer relationships and lower stratospheric dynamics: CO, and N X) correlations during SPADE. Geophys. Res. Lett., 21, 2567-2570. 166. Dessler, A.E. and H. Kim, 1999: Determination of the amount of water vapor entering the stratosphere based on HALOE data. J. Geophys. Res., 104, 30,605-30,607. 167. Khalil, M.A.K., R.A. Rasmussen and F. Moraes, 1993: Atmospheric methane at Cape Meares: analysis of a high-resolution data base and its environmental implications. ./. Geophys. Res., 98, 14,753-14,770. 168. Pollock, W., L.E. Heidt, R. Lueb and D.H. Ehhalt, 1980: Measurement of stratospheric water vapor by cryogenic collection. J. Geophys. Res.. 85, 5555-5568. 169. Fabian, P., R. Bouchers, G. Flenlje, W.A. Matthews, W. Seiler, H. Giehl, K. Bunse, F. Miiller, U. Schmidt, A. Volz, A. Khedim and F.J. Johnen, 1981: The vertical distribution of stable trace gases at mid-latitudes../. Geophys. Res., 86, 5179-5184. 170. Hintsa, E.J., E.M. Weinstock, A.E. Dessler, J.G. Anderson, M. Loewenstein and J.R. Podolske. 1994: SPADE H,0 measurements and the seasonal cycle of stratospheric water vapor. Geophys. Res. Lett., 21, 2559-2562. 171. Abbas, M.M., M.R. Gunson, M.J. Newchurch, H.A. Michelsen, R.J. Salawitch, M. Allen, M.C. Abrams, A.Y. Chang, A. Goldman, F.W. Irion, E.J. Mayer, R. Nagaraju, C.P. Rinsland. G.P. Stiller and R. Zander. 1996: The hydrogen budget of the stratosphere inferred from ATMOS measurements of II20 and CH«. Geophys. Res. Lett., 23, 2405-2408. 172. Dessler, A.E.. E.M. Weinstock, E.J. Hintsa, J.G. Anderson, C.R. Webster, R.D. May, J.W. Elkins and G.S. Dutton, 1994: An examination of the total hydrogen budget of the lower stratosphere. Geophys. Res. Lett., 21, 2563-2566. 173. Hurst, D.F., G.S. Dutton. P.A. Romashkin, P.R. Wamsley, F.L. Moore, J.W. Elkins, E.J. Hintsa, E.M. Weinstock, R.L. Herman, EJ. Moyer, D.C. Scott, R.D. May and C.R. Webster, 1999: Closure of the total hydrogen budget of the northern extratropical lower stratosphere../. Geophys, Res., 104, 8191-8200. 174. Randel, W.J., W. Fei, J.M. Russell, III, A. Roche and J.W. Waters, 1998: Seasonal cycles and QBO variations in stratospheric CH., and H,G observed in UARS HALOE data. J. Arnos. Sei., 55, 163-185. 175. Folkins, I. and C. Appenzeller, 1996: Ozone and potential vorticity at the subtropical tropopause break../. Geophys. Res., 101, 18,787-18,792. 176. Chen, P., 1995: Isentropic cross-tropopause mass exchange in the extratropics. J. Geophys. Res., 100, 16,661-16,673. 177. Poulida, O., R.R. Dickerson and A. Heymslield, 1996: Stratosphere-troposphere exchange in a midlatitude mesoscale convective complex, 1. Observations. J. Geophys. Res., 101, 6823-6836. 178. Hintsa, E.J., K.A. Boering, E.M. Weinstock, J.G. Anderson, B.L. Gary, L. Pfister, B.C. Daube, S.C. Wofsy, M. Loewenstein, J.R. Podolske, J.J. Margitan and T.P. Bui, 1998: Troposphere-to-stratosphere transport in the lowermost stratosphere from measurements of H,0, CO,, N,0 and O,. Geophys. Res. Lett., 25, 2655-2658. 179. Hartmann, D.L., 1994: Global Physical Climatology. Academic Press, San Diego. 180. Eluszkiewicz, J., 1996: A three-dimensional view of the stratosphere-to-tropospherc exchange in the GFDL SKYHI model. Geophys. Res. Lea., 23, 2489-2492. 181. Rosenlof, K.H. and J.R. Holton, 1993: Estimates of the stratospheric residual circulation using the downward control principle. J. Geophys. Res., 98, 10,465-10,479. 182. Minschwaner, K., A.E. Dessler, J.W. Elkins, CM. Volk, D.W. Fahey, M. Loewenstein, J.R. Podolske, A.E. Roche and K.R. Chan, 1996: Bulk properties of isentropic mixing into the tropics in the lower stratosphere. J. Geophys. Res., 101, 9433-9439. 183. Avallone, L.M. and M.J. Prather, 1996: Photochemical evolution of ozone in the lower tropical stratosphere../. Geophys. Res., 101, 1457-1461. 184. Volk, C.M., J.W. Elkins, D.W. Fahey, R.J. Salawitch, G.S. Dutton, J.M. GUligan, M.H. Proffitt, M. Loewenstein, J.R. Podolske, K. Minschwaner, J J. Margitan and K.R. Chan, 1996: Quantifying transport between the tropical and mid-latitude lower stratosphere. Science, 111. 1763-1768. 185. Plumb, R.A., 1996: A "tropical pipe" model of stratospheric transport. J. Geophys. Res., 101, 3957-3972. 186. Schoeberl, M.R., L.R. Lait, P.A. Newman and J.E. Rosenfield, 1992: The structure of the polar vortex. J. Geophys. Res., 97, 7859-7882. 187. Schoeberl, M.R. and D.L. Hartmann, 1991: The dynamics of the stratospheric polar vortex and its relation to springtime ozone depletions. Science, 251, 46-52. 188. Bowman, K.P., 1993: Large-scale isentropic mixing properties of the Antarctic polar vortex from analyzed winds. J. Geophys. Res., 98, 23,013-23.027. 189. Waugh, D.W., T.M. Hall, W.J. Randel, P.J. Rasch, B.A. Boville, K.A. Boering, S.C. Wofsy, B.C. Daube, J.W. Elkins, D.W. Fahey, G.S. Dutton, C.M. Volk and P.F. Vohralik, 1997: Three-dimensional simulations of long-lived tracers using winds from MACCM2. J. Geophys. Res., 102, 21,493-21,513. 190. Ko, M.K.W., N.-D. Sze and D.K. Weisenstein, 1989: The roles of dynamical and chemical processes in determining the stratospheric concentrations of ozone in one-dimensional and two-dimensional models. J. Geophys. Res., 94, 9889—9896. 191. Gunson. M.R., M.M. Abbas, M.C. Abrams, M. Allen, L.R. Brown, T.L. Brown, A.Y. Chang, A. Goldman, F.W. Irion, L.L. Lowes, E. Mahieu, G.L. Manney, H.A. Michelsen, M.J. Newchurch, C.P. Rinsland, R.J. Salawitch, G.P. Stiller, G.C. Toon, Y.L. Yung and R. Zander, 1996: The Atmospheric Trace Molecule Spectroscopy (ATMOS) experiment: deployment on the ATLAS Space Shuttle missions. Geophys. Res. Lett., 23, 2333-2336. 192. Plumb, R.A. and M.K.W. Ko, 1992: Interrelationships between mixing ratios of long-lived stratospheric constituents. J. Geophys. Res., 97, 10,145-10,156. 193. Coffey, M.T., 1996: Observations of the impact of volcanic activity on stratospheric chemistry./. Geophys. Res., 101, 6767-6780. 194. Thomason, L.W., L.R. Poole and T. Deshler, 1997: A global climatology of stratospheric aerosol surface area density deduced from Stratospheric Aerosol and Gas Experiment II measurements: 1984-1994. J. Geophys. Res., 102, 8967-8976. 195. Hofmann, D.J. and S. Solomon. 1989: Ozone destruction through heterogeneous chemistry following the eruption of El Chichcin. J. Geophys. Res.. 94, 5029-5041. 196. Ml. Pinaluho Eruption Special Issue, 1992: Geophys. Res. Lett., 19, 149-218. 197. Lambert, A., R.G. Grainger. C.D. Rodgers, F.W. Taylor, J.L. Mergenthaler, J.B. Kumer and S.T. Massie, 1997: Global evolution of the Mt Pinatubo volcanic aerosols observed by the infrared limb-sounding instruments CLAES and ISAMS on the Upper Atmosphere Research Satellite. /. Geophys. Res.. 102. 1495-1512. 198. Wallace, L. and W. Livingston, 1992: The effect of the Pinatubo cloud on hydrogen chloride and hydrogen fluoride. Geophys. Res. Lett.. 19, 1209. 199. Mankin, W.G., M.T. Coffey and A. Goldman, 1992: Airborne observations of S02, HC1 and O, in the stratospheric plume of the Pinatubo volcano in July 1991. Geophys. Res. Lett., 19. 179-182. 200. Kondo, Y„ T. Sugita, R.J. Salawitch, M. Koike and T. Deshler, 1997: Effect of Pinatubo aerosols on stratospheric NO. /. Geophys. Res., 102, 1205-1213. 201. Hanson, D.R., 1998: Reaction of ClONO, with H,0 and HC1 in sulfuric acid and HNO/HjSO/H.O mixtures. /. Phys. Chem. ,4, 102, 4794-4807. 202. Donaldson, D.J.. A.R. Ravishankara and D.R. Hanson, 1997: Detailed study of HOC1 + HO- >CI-2 + 1LO in sulfuric acid. J. Phys. Chem., 101, 4717-4725. 203. Mickley, L.J., J.P.D. Abbatt, J.E. Frederick and J.M. Russell, III, 1997: Response of summertime odd nitrogen and ozone at 17 mbar to Mount Pinatubo aerosol over the southern midlatiiudes: observations from the Halogen Occultation Experiment. /. Geophys. Res., 102, 23,573-23,582. 204. Avallone, L.M., D.W. Toohey, M.M. Prot'fitt, J.J. Margitan, K.R. Chan and J.G. Anderson, 1993: In situ measurements of CIO at mid-latitudes: is there an effect from Mt. Pinatubo? Geophys. Res. Lett., 20. 2519-2522. 205. Dessler, A.F... D.B. Considine, J.E. Rosenfield, S.R. Kawa, A.R. Douglass and J.M. Russell, 111, 1997: Lower stratospheric chlorine partitioning during the decay of the Mt. Pinatubo aerosol cloud. Geophys. Res. Lett., 24. 1623-1626. 206. Kinnison, D.E., K.F.. Grant. P.S. Conneli, D.A. Rotman and D.J. Wuebbles, 1994: The chemical and radiative effects of the Mount Pinatubo eruption. /. Geophys. Res., 99, 25,705-25,732. 207. Rosenfield, J.E., D.B. Considine. P.E. Meade, J.T. Bacmeister, C.H. Jackman and M.R. Sehoeberl, 1997: Stratospheric effects of Mount Pinatubo aerosol studied with a coupled two-dimensional model./. Geophys. Res., 102, 3649-3670. 208. Pilari, G. and V. Ri/,i, 1993: An estimate of the chemical and radiative perturbation of stratospheric ozone following the eruption of Ml. Pinatubo. ./. Atmos. Sci., 50, 3260-3276. 209. Tie, X.X., G.P. Brasseur, B. Briegleb and C. Granier. 1994: Two-dimensional simulation of Pinatubo aerosol and its effect on stratospheric ozone. J. Geophys. Res.. 99, 20,545-20,562. 210. Tie, X.X. and G. Brasseur, 1995: The response of stratospheric ozone to volcanic eruptions—sensitivity to atmospheric chlorine loading. Geophys. Res. Lea., 22, 3035-3038. 211. Michelangeli, D.V., M. Allen, Y.L. Yung, R.L. Shia, D. Crisp and J. FJuszkiewicz, 1992: Enhancement of atmospheric radiation by an aerosol layer. J. Geophys. Res. ,97,865-874. 212. Anderson, D.E., R. DeMajistre, S.A. Lloyd and P.K. Swaminathan, 1995: Impact of aerosols and clouds on the troposphere and stratosphere radiation field with application to twilight photochemistry. J. Geophys. Res., 10(1, 7135-7145. 213. Huang, T.Y.W. and ST. Massie, 1997: Effect of volcanic particles on the O, and O, photolysis rates and their impact on ozone in the tropical stratosphere. J. Geophys. Res., 102, 1239-1249. 214. Eluszkiewicz, J., D. Crisp, R.G. Grainger, A. Lambert, A.E. Roche, J.B. Kumer and J.L. Mergenthaler, 1997: Sensitivity of the residual circulation diagnosed from the UARS data to Lhe uncertainties in the input fields and to the inclusion of aerosols../. Atmos. Sci., 54, 1739-1757. 215. Kinne, S., O.B. Toon and MJ. Prather, 1992: Buffering of stratospheric circulation by changing amounts of tropical ozone: a Pinatubo case study. Geophys. Res, Lett., 19, 1927-1930. 216. Pitari, G., 1993: A numerical study of the possible perturbation of stratospheric dynamics due to Pinatubo aerosols: implications for tracer transport. J. Atmos. Set., 50, 2443-2461. 217. Dessler, A.E., K. Minschwaner, E.M. Weinstock, E.J. Hintsa, J.G. Anderson and J.M. Russell, III, 1996: The effects of tropical cirrus clouds on the abundance of lower stratospheric ozone. J. Atmos. Chem., 23, 209-220. 218. Schoeberl, M.R.. P.K. Bhartia, E. Hilsenrath and O. Torres, 1993: Tropical ozone loss following the eruption of Mt. Pinatubo. Geophys. Res. Lett., 20, 29- 32. 219. Nash, E.R., P.A. Newman, J.E. Rosenfield and M.R. Schocberl, 1996: An objective determination of the polar vortex using Ertel's potential vorticity. J. Geophys. Res.. 101, 9471-9478. 220. Schoeberl, M.R., A.R. Douglass, S.R. Kawa, A.E. Dessler, P.A. Newman and R.S. Stolarski, 1996: The development of the Antarctic ozone hole. ./. Geophys. Res., 101, 20,909-20,924. 221. Schoeberl, M.R.. M. Luo and J.E. Rosenfield, 1995: An analysis of the Antarctic Halogen Occultation Experiment tracc gas observations. J. Geophys. Res., 100, 5159 5172. 222. Manney, G.L., R.W. Zurek, A. O'Neill and R. Swinbank, 1994: On the motion of air through the stratospheric polar vortex. J. Atmos. Sci., 51. 2973-2994. 223. Fisher, M., A. O'Neill and R. Sutton, 1993: Rapid descent of mesospheric air into the stratospheric polar vortex. Geophys. Res. Lett., 20, 1267-1270. 224. Rosenfield, J.E.. P.A. Newman and M.R. Schocberl, 1994: Computations of diabatic descent in the stratospheric polar vortex. J. Geophys. Res., 99, 16,677-16,689. 225. Hess, P.G., 1991: Mixing processes following the final stratospheric warming. J. Atmos. Sri.. 48, 1625-1641. 226. Schoeherl, M.R., 1978: Stratospheric wannings: observations and theory. Rev. Geophys., 16, 521-538. 227. Atkinson, R.J. and R.A. Plumb, 1997: Three-dimensional ozone transport during the ozone hole breakup in December 1987. J. Geophys. Res., 102, 1451-1466. 228. Toon, O.B., P. Hamill, R.P. Turco and J. Pinto, 1986: Condensation of UNO, and HC1 in the winter polar stratospheres. Geophys. Res. Lett., 13, 1284-1287. 229. Crutzen, P.J. and F. Arnold, 1986: Nitric acid cloud formation in the cold Antarctic stratosphere: a major cause for the springtime 'ozone hole". Nature, 324. 651-655. 230. McElroy, M.B., R.J. Salawitch and S.C. Wofsy, 1986: Antarctic (),: chemical mechanisms for the spring decrease. Geophys. Res. Lett., 13, 1296-1299. 231. Hanson. D. and K. Mauersberger, 1988: Laboratory studies of the nitric acid trihydrate: Implications for the south polar stratosphere. Geophys. Res. Lett., IS, 855-858. 232. Fahey, D.W., K.K. Kelly, G.V. Ferry, L.R. Poole, J.C. Wilson, D.M. Murphy, M. Loewenstein and K.R. Chan, 1989: In situ measurements of total reactive nitrogen, total water and aerosol in a polar stratospheric cloud in the Antarctic. .1. Geophys. Res., 94, 1 1,299-11,315. 233. Worsnop, D.R., L.F.. Fox, M.S. Zahniser and S.C. Wofsy, 1993: Vapor pressures of solid hydrates of nitric acid: Implications for polar stratospheric clouds. Science, 259, 71-74. 234. Drdla, K„ A. Tabazadeh, R.P. Turco, M.Z. Jacobson. J.E. Dye, C. Twohy and D. Baumgardner, 1994: Analysis of the physical state of one Arctic polar stratospheric cloud based on observations. Geophys. Res. Lett.. 21, 2475- 2478. 235. Toon, O.B. and M.A. Tolbert, 1995: .Spectroscopic evidence against nitric acid trihydrate in polar stratospheric clouds. Nature, 375, 218-221. 236. Dye, J.E.. D. Baumgardner, B.W. Gandrud, K. Drdla, K. Barr, D.W. Fahey, L.A. Delnegro, A. Tabazadeh, H.H. Jonsson, J.C. Wilson, M. Loewenstein, J.R. Podolske and K.R. Chan. 1996: In-situ observations of an Antarctic polar stratospheric cloud: Similarities with Arctic observations. Geophys. Res. Lett., 23, 1913-1916. 237. Dessler, A.E., J. Wu, M.L. Santee and M.R. Schoeberl. 1999: Satellite, observations of temporary and irreversible denitrification. J. Geophys. Res., 104, 13,99.3-14,002. 238. Santee. M.L., A. Tabazadeh, G.L. Manney, R.J. Salawitch, L. Froidevaux, W.G. Read and J.W. Waters, 1998: UARS MLS UNO, observations: implications for Antarctic PSCs../. Geophys. Res.. 103, 13,285-13,313. 239. Massie, S.T., J.E. Dye, D. Baumgardner, W.J. Randel, F. Wu, X.X. Tie, L. Pan, F. Figarol, G.P. Brasseur, M.L. Santee, W.G. Read, R.G. Grainger, A. Lambert, J.L. Mergenthaler and A. Tabazadeh, 1997: Simultaneous observations of polar stratospheric clouds and HNO, over Scandinavia in January, 1992. Geophys. Res. Lett., 24, 595-598. 240. Browcll, E.V., C.F. Butler, S. Ismail, P.A. Robinette, A.F. Carter, M.S. Higdon, O.B. Toon, M.R. Schoeberl and A.F. Tuck, 1990: Airborne LIDAR observations in the wintertime Arctic stratosphere: polar stratospheric clouds. Geophys. Res. Lett., 17, 385-388. 241. Toon, O.B.. E.V. Browell, S. Kinne and J. Jordan, 1990: An analysis of LIDAR observations of polar stratospheric clouds. Geophys. Res. Lett., 17, 393—396. 242. Panegrossi, G., D. Fua and G. Fiocco, 1996: A 1-D model of the formation and evolution of polar stratospheric clouds../. Atmos. Chem.. 23, 5-35. 243. Drdla, K. and R.P. Turco, 1991: Denitrification through PSC formation: a 1-D model incorporating temperature oscillations../. Armas. Chem., 12, 319-366. 244. Kawa, S.R., D.W. Fahey. L.E. Heidt, W.H. Pollock. S. Solomon, D.E. Anderson, M. Loewenstein, M.H. Proffitt, J.J. Margitan and K.R. Chan, 1992: Photochemical partitioning of the reactive nitrogen and chlorine reservoirs in the high-latitude stratosphere. ./. Geophys. Res., 97, 7905-7923. 245. Webster, C.R., R. D. May, D.W. Toohey, L.M. Avallone, J.G. Anderson, P. Newman, I.. Lait, M.R. Schoeberl, J.W. Elkins and K.R. Chan, 1993: Chlorine chemistry on polar stratospheric cloud particles in the Arctic winter. Science, 261, 1130-1134. 246. Barone, S.B., M.A. Zondlo and M.A. Tolbert, 1997: A kinetic and product study of the hydrolysis of ClONO, on type la polar stratospheric cloud materials at 185 K. J. Phys. Chem. A. 101, 8643-8652. 247. Hanson, D.R. and A.R. Ravishankara, 1993: Reaction of ClONO, with HC! on NAT, NAD and frozen sulfuric acid and hydrolysis of N,Os and ClONO, on frozen sulfuric acid. J. Geophys. Res.. 98, 22,931-22,936. 248. Kawa, S.R.. P.A. Newman, L.R. Lait, M.R. Schoeberl, R.M. Stimpfie, D.W. Kohn, C.R. Webster, R.D. May, D. Baumgardner, J.E. Dye, J.C. Wilson, K.R. Chan and M. Loewenstein, 1997: Activation of chlorine in sulfate aerosol as inferred from aircraft observations. J. Geophys. Res., 102, 3921-3933. 249. Toohey, D.W., L.M. Avallone, L.R. Lait, P.A. Newman, M.R. Schoeberl. D.W. Fahey, E.L. Woodbridge and J.G. Anderson, 1993: The seasonal evolution of reactive chlorine in the northern hemisphere stratosphere. Science, 261, 1134-1136. 250. Schoeberl, M.R., A.R. Douglass, R.S. Stolarski, P.A. Newman, L.R. Lait, D. Toohey, L. Avallone, J.G. Anderson, W. Brune, D.W. Fahey and K. Kelly, 1993: The evolution of CIO and NO along air parcel trajectories. Geophys. Res. Lett., 20, 2511-2514. 251. Kawa, S.R., D.W. Fahey, K.K. Kelly, J.E. Dye. D. Baumgardner, B.W. Gandrud, M. Loewenstein, G.V. Ferry and K.R. Chan, 1992: The Arctic polar stratospheric cloud aerosol: aircraft measurements of reactive nitrogen, total water and particles. J. Geophys. Res., 97, 7925-7938. 252. Fahey, D.W., K.K. Kelly, S.R. Kawa, A.F. Tuck, M. Loewenstein, K.R. Chan and L.E. Heidt, 1990: Observations of denitrification and dehydration in the winter polar stratospheres. Nature, 344, 321-324. 253. Kasten, F., 1968: Falling speed of aerosol particles. J. Appl. Meteor., 7, 944-947. 254. Rinsland, C.P., M.R. Gunson, R.J. Salawitch, M.J. Newchurch, R. Zander, M.M. Abbas, M.C. Abrams, G.L. Manney, H.A. Michclsen, A.Y. Chang and A. Goldman, 1996: ATMOS measurements of H.O + 2CH, and total reactive nitrogen in the November 1994 Antarctic stratosphere: dehydration and denitrification in the vortex. Geophys. Res. Lxtt., 23,2397-2400. 255. Hintsa, E.J., P.A. Newman, H.H. Jonsson, C.R. Webster, R.D. May, R.L. Herman, L.R. Lait, M.R. Schoeberl, J.W. Elkins, P.R. Wamsley, G.S. Dutton, T.P. Bui, D.W. Kohn and J.G. Anderson, 1998: Dehydration and denitrification in the Arctic polar vortex during the 1995-1996 winter. Geophys. Res. Lett., 25, 501-504. 256. Kelly, K.K., A.F. Tuck, D.M. Murphy, M.H. Proffitt. D.W. Fahey, R.L. Jones, D.S. McKenna, M. Loewenstein, J. R. Podolske, S.E. Strahan, G.V. Ferry, K.R. Chan, J.E Vedder, G.L. Gregory, W.D. Hypes, M.P. McCormick, E.V. Browell and L.E. Heidt, 1989: Dehydration in the lower Antarctic stratosphere during late winter and early spring, 1987../. Geophys. Res., 94, 11,317-11,357. 257. Santee, M.L., W.O. Read, J.W. Waters, L. Froidevaux, G.L. Manney, D.A. Flower, R.F. Jamot, R.S. Harwood and G.E. Peckham, 1995: Interhemispheric differences in polar stratospheric HNO„ H20, CIO and O,. Science. 267, 849-852. 258. Brune, W.H., J.G. Anderson and K.R. Chan, 1989: In situ observations of CIO over Antarctica: ER-2 aircraft results from 54°S to 72°S latitude. ,/. Geophys. Res., 94, 16,649-16,663. 259. .Swinbank, R. and A. O'Neill, 1994: A stratosphere-troposphere data assimilation system. Man. Weather Rev., 122, 686-702. 260. Waters, J.W., W.ü. Read, L. Froidevaux, T.A. Lungu, V.S. Perun, R.A. Stachnik. R.F. Jamot, R.E. Cotield, E.F. Fishbein, D.A. Flower, J.R. Burke, J.C. Hardy, L.L. Nakamura, B.P. Ridenoure, Z. Shipponv, R.P. Thurstans, L.M. Avallone, D.W. Toohey, R.L. deZafra and D.T. Shindell, 1996: Validation of UARS MLS CIO measurements. J. Geophys. Res., 101, 10,091-10,127. 261. Schoeberl, M.R., R.S. Stolarski, A.R. Douglass, P.A. Newman, L.R. Lait, J.W. Waters, L. Froidevaux and W.G. Read, 1993: MLS CIO observations and Arctic polar vortex temperatures. Geophys. Res. Lett.. 20, 2861-2864. 262. Wu, J. and A.E. Dessler, 2000: Comparisons between modeled and measured polar ozone loss../. Geophys. Res., submitted. 263. McKinney, K.A., J.M. Pierson and D.W. Toohey, 1997: A wintertime in situ profile of BrO between 17 and 27 km in the Arctic vortex. Geophys. Res. Lett., 24, 853-856. 264. Zreda-Gostynska, G., PR. Kyle and D.L. Finnegan, 1993: Chlorine, fluorine and sulfur emissions from Mount Erebus, Antarctica and estimated contributions to the Antarctic atmosphere. Geophys. Res. Lett., 20, 1959-1962. 265. Molina, L..T. and M.J. Molina, 1987: Production of Cl20, from the self-reaction of the CIO radical. J. Phys. Chem., 91, 433-436. 266. Chen, P., 1994: The permeability of the Antarctic vortex edge. J. Geophys. Res., 99. 20,563-20,571. 267. Douglass, A.R., M.R. Schoeberl, R.S. Stolarski, J.W. Waters, J.M. Russell, III, A.E. Roche and S.T. Massie, 1995: Interhemispheric differences in springtime production of HCl and C10N0-, in the polar vortices. J. Geophys. Res., 100, 13,967-13,978. 268. Grooss, J.-U., R.B. Pierce, P.J. Crutzen, W.L. Grose and J.M. Russell, HI, 1997: Reformation of chlorine reservoirs in southern hemisphere polar spring. J. Geophys. Res.. 102, 13,141-13,152. 269. Santee, M.L., L. Froidevaux, G.L. Manney. W.G. Read, J.W. Waters, M.R Chipperfield, A.E. Roche, J.B. Kumer, J.L. Mergenthaler and J.M. Russell, III, 1996: Chlorine deactivation in the lower stratospheric polar regions during late winter: results from UARS. J. Geophys. Res., 101, 18,835-18,859. 270. Newman, P.A., J.F. Gleason, R.D. McPelers and R.S. Stolarski, 1997: Anomalously low ozone over the Arctic. Geophys. Res. Lett., 24, 2689-2692. 271. Manney, G.L., L. Froidevaux, J.W. Waters, R.W. Zurek, W.G. Read, L.S. Elson, J.B. Kumer, J.L. Mergenthaler, A.E. Roche, A. O'Neill, R.S. Harwood, I. MacKenzie and R. Swinbank, 1994: Chemical depletion of ozone in the Arctic lower stratosphere during winter 1992-93. Nature. 370, 429-434. 272. Nagatani, R.M., A.J. Miller, M.E. Gelman and P.A. Newman, 1990: A comparison of Arctic lower stratospheric winter temperatures for 1988-89 with temperatures since 1964. Geophys. Res. Lett., 17, 333-336. 273. Coy, L., E.R. Nash and P.A. Newman, 1997: Meteorology of the polar vortex: spring 1997. Geophys. Res. Lett., 24, 2693-2696. 274. Zurek, R.W., G.L. Manney, A.J. Miller, M.E. Gelman and R.M. Nagatani, 1996: Interannual variability of the north polar vortex in the lower stratosphere during the UARS mission. Geophys. Res. Lett., 23, 289-292. 275. Waters, J.W., G.L. Manney, W.G. Read, L. Froidcvaux, D.A. Flower and R.F. Jamot, 1995: UARS MLS observations of lower stratospheric CIO in the 1992-93 and 1993-94 Arctic winter vortices. Geophys. Res. Lett.. 22, 823-826. 276. Manney, G.L., R.W. Zurek, L. Froidevaux, J. W. Waters, A. O'Neill and R. Swinbank, 1995: Evidence for Arctic ozone depletion in late February and early March 1994. Geophys. Res. Lett., 22, 2941-2944. 277. Manney, G.L., M.L. Santee, L. Froidevaux, J.W. Waters and R.W. Zurek, 1996: Polar vortex conditions during the 1995-96 Arctic winter: Meteorology and MLS ozone. Geophys. Res. Lett., 23, 3203-3206. 278. Roche, A.E., J.B. Kumer, J.L. Mergenthaler, G.A. Ely, W.C.. Upiinger, J.F. Potter, T.C. James and L.W. Stcrritt, 1993: The Cryogenic Limb Array Eta Ion Spectrometer (CLAES) on UARS: experiment description and performance. J. Geophys. Res., 98, 10,763-10,775. 279. Barath, F.T., M.C. Chavez, R.E. Cofield, D.A. Flower, M.A. Frerking, M.B. Gram, W.M. Harris, J.R. Holden, R.F. Jamot, W.G. Kloezeman, G. J. Klose, G. K. Lau, M.S. Loo, B.J. Maddison, R.J. Mattauch, R.P. McKinney, G.E. Peckham, H.M. Pickett, G. Siebes, F.S. Soltis, R.A. Suttie, J.A. Tarsala, J.W. Waters and W.J. Wilson, 1993: The Upper Atmosphere Research Satellite Microwave Limb Sounder instrument../. Geophys. Res., 98, 10,751-10,762. 280. Bevilacqua, R.M., C.P. Aeliig, D.J. Debrestian, M.D. Fromm, K. Hoppel. J.D. Lumpe, E.P. Shettle, J.S. Hornstein, C.E. Randall, D.W. Rusch and J.E. Rosenfield, 1997: POAM II ozone observations in the Antarctic ozone hole in 1994, 1995 and 1996. /. Geophys. Res.. 102, 23,643-23,657. 281. McPeters, R.D. and G.J. Labow, 1996: An assessment of the accuracy of 14.5 years of Nimbus 7 TOMS Version 7 ozone data by comparison with die Dobson network. Geophys. Res. Lett., 23, 3695-3698. 282. McPeters, R.D., P.K. Bhartia, A.J. Krueger, J.R. Herman, B.M. Schlesinger, C.G. Wellemeyer, C.J. Seftor, G. Jaross, S.L. Taylor, T. Swissler, O. Torres, G. Labow, W. Byerly and R.P. Cebula, 1996: Nimhus-7 Total Ozone Mapping Spectrometer (TOMS) Data Product User's Guide, NASA Ref. Pub. 1384. NASA, Washington, DC. 283. Dessler, A.E.. M.D. Burrage, J.-U. Grooss, J.R. Ilolton. J.L. Lean, S.T. Massie, M.R. Schoeberl, A.R. Douglass and C.H. Jackman, 1998: Selected science highlights from the first five years of the Upper Atmosphere Research Satellite (UARS) program. Rev. Geophys., 36, 183-210.